Creating a healthier lifestyle begins with a product that encourages a balance of nutritional needs. Feeding the body with the right ingredients kick-starts the body’s metabolism which aids in the burning of calories. A healthy diet gives the body the fuel it needs before, during, and after exercise. 180 Nutrition offers a plan that includes the necessary ingredients to ensure success. A healthy meal replacement delivers a balance of nutrition that is required for the person to receive optimal benefits. 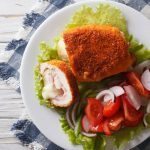 Many people struggle with what to eat and how much is too much. A protein shake supplement plan takes the guess work out by putting the person in control of their own destiny. 180 Nutrition offers an all natural meal replacement that has no preservatives, is gluten free, and has no hidden sugars. The high nutrition value helps fuel the body with the needed ingredients to achieve a healthy life. This meal replacement has a high fibre content that is good for the body and keeps the user feeling full. This great tasting supplement eliminates high calorie cravings. There are several excellent ways to use this supplement. 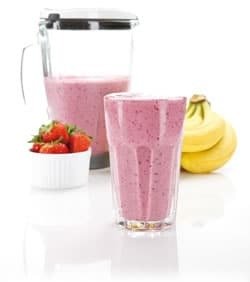 Smoothies are a popular method when mixed with water, your choice of milk or even yogurt. It can also be sprinkled on food for added nutritional value or used as an ingredient for healthy recipes. Replacing meals with this nutritional supplement has been proven to be an excellent way to feel full and receive the nutrients that the body needs to burn calories. The healthy way to lose weight is to use 180 Nutrition which has the best weight loss shakes. Protein and high fibre is a necessary part of a successful program. Sugar is an enemy of the body and should be avoided, so this supplement is sugar free. The overall goal is to aim toward a healthy way of life by eating foods that provide the body with the nutrients it needs. Combined with a quality exercise program, this combination brings about changes to the mind and body. Using the 180 Nutrition meal replacement plan provides the motivation to lose the weight and keep it off by allowing the person to get fit in a healthy way. Now is the time to use a product that works hard to help people reach their goals.